Crazy fun! But not as good as Aliens: Earth Hive. Nightmare Asylum picks up immediately where Earth Hive ended. Wilks, Billie, and what remains of Bueller are headed back to Earth. Their previous encounter with a separate alien life form, one that possesses the power to effortlessly destroy Xenomorphs, will undoubtedly change the war for Earth. But first, they must survive the battle! For now, the aliens appear to have won the battle for Earth. Desperate to survive and fight another day, our trio returns to space and take refuge on a secret military base that holds more questions than answers concerning humankind’s survival. Corporal Spears runs the military base with precision. His perfectionism, he believes, is key to winning the war on Earth. Yet, there is something behind his attention to detail that is unsettling., and it has nothing to do with how he runs the base. A new soldier waits behind metal walls, controlled only by Spears. Has Spears learned to communicate with a queen? And, is she taking orders from Spears or just bidding her time until she can once again roam free? Survival has never been harder for Wilks, Billie, and Bueller—especially when you are fighting not only Xenomorphs, but other humans! 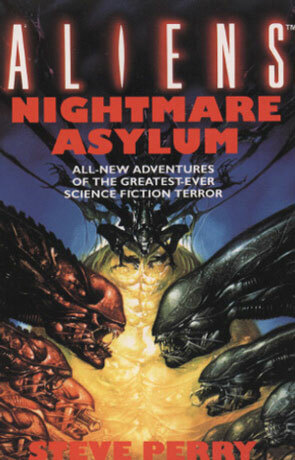 Just like Earth Hive, Nightmare Asylum ends with a cliffhanger. Written on 11th December 2014 by D. L. Denham.